View The Obituary For Carol Sue Crotts. Please join us in Loving, Sharing and Memorializing Carol Sue Crotts on this permanent online memorial presented by Jones – Campbell Funeral Home. View The Obituary For Keith Allen McCoy Sr…. age 59. Please join us in Loving, Sharing and Memorializing Keith Allen McCoy Sr…. age 59 on this permanent online memorial presented by Eddy Birchard Funeral Home. View The Obituary For Marcheta Vickers. Please join us in Loving, Sharing and Memorializing Marcheta Vickers on this permanent online memorial presented by Brenner Mortuary. 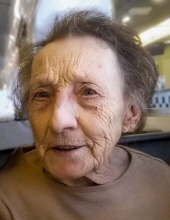 View The Obituary For Carol Sue Crotts of LeRoy, Kansas. Please join us in Loving, Sharing and Memorializing Carol Sue Crotts on this permanent online memorial presented by Jones – Campbell Funeral Home. Courtney Newlin Underwood, III, 66, of Atchison, KS died Saturday, Feb. 16, 2019 at his home surround by his family. Funeral services will be 11:00 AM on Wednesday, Feb. 20th, at the Becker-Dyer-Stanton Funeral Home with Rev. Matt Broxterman officiating. View The Obituary For Keith Allen McCoy Sr…. age 59 of Osawatomie, Kansas. Please join us in Loving, Sharing and Memorializing Keith Allen McCoy Sr…. age 59 on this permanent online memorial presented by Eddy Birchard Funeral Home. Macy Ann Carson, 75, former longtime Parsons resident, passed away at her home in Lake Charles, Louisiana, on Thursday, Feb. 14, 2019. ABILENE — Andrea M. “Andy” Gibson, 56, of Abilene, died Thursday, February 14, 2019, at the University of Kansas Health System, Kansas City. Martin-Becker-Carlson Funeral Home, Abilene, is handling arrangements.